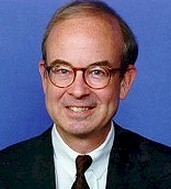 Representative Rick Boucher, Democrat, Ninth District, Virginia. Background. Rick Boucher is one of the most active Members of Congress on high tech issues. He is one of many legislators from rural districts who see the benefits that universal use of broadband converged communications will bring to rural and remote areas of the country. He devotes considerable time and energy to passing laws that will aid in speeding the deployment of new technologies. And in particular, he does not want to see remote areas, like far western Virginia, left out of the broadband revolution. "It tends to be people from rural America who have a very large say in what happens with Internet technology policy," Rep. Boucher told Tech Law Journal in November of 1998, because, "we see a bridge to the future in Internet technology for our districts." "I would like to see information based businesses move to Southwest Virginia," he added. "Now with broadband communications, more companies can pick their place of doing business." His voting record is pro high-tech, except on a few issues where his support for traditional Democratic constituencies pulls him in another direction. For example, he voted against the H1B visa bill in 1998, and the first version of the Y2K litigation reform bill in May of 1999. Nevertheless, Tech Law Journal rated Rep. Boucher one of the Top Ten high tech Representatives in its 1998 Congressional Scorecard. Rep. Boucher went to college at Roanoke College, and law school at the University of Virginia. He worked for the McGovern campaign in 1972. He practiced law on Wall Street, and then in his home town of Abingdon, Virginia. He was elected to the Virginia State Senate, and then to the U.S. House in 1982. District. Rep. Boucher represents the Ninth Congressional District, in far western Virginia. The area is scenic, hilly, rural, and economically depressed. It has little in common with either tidewater eastern Virginia, or affluent suburban northern Virginia. It was settled by Scotch-Irish and German farmers two hundred years ago. It was anti-secessionist in the Civil War. Today, it is overwhelmingly white (97%). Its western counties are heavily dependent on its coal fields. Tobacco is still a major crop. There are no big cities. Abingdon, Blacksburg, Bristol, and Pulaski are the major communities. The district is large, and its population is dispersed. Also, the multitude of mountain ridges and hollows make broadcast and terrestrial wireless communications problematic. There are no major high tech companies in the district. Nor are communications facilities well developed. However, the area is beautiful, and the small town way of life is desirable to many. Rep. Boucher, like many leaders in his district, see the development of the Internet as a way to bring jobs, telecommuting, telemedicine, entertainment, and other benefits to the district. Committee Assignments. Rep. Boucher holds an ideal set of committee and subcommittee assignments for a Congressmen interested in high-tech issues. He sits on the Commerce Committee and its Telecommunications Subcommittee. He ranks 5th and 2nd among Democrats on these two bodies. He also sits on the Judiciary Committee and its Courts and Intellectual Property Subcommittee. Hence, most high-tech legislation comes before Rep. Boucher's panels many times for hearings and markups before it goes to the House floor. However, Rep. Boucher's assignments also put him in the middle of a turf war over the high-tech agenda. He is also one of the four Co-Chairmen of the Congressional Internet Caucus. Legislative Activities. Rep. Boucher's most important legislative initiative in the 106th Congress is his Internet Growth and Development Act of 1999. This bill is designed to speed the deployment of broadband Internet access via ADSL. However, it also deals with electronic signatures, spam, and online privacy. Rep. Bob Goodlatte (R-VA) (web site | bio), from the adjacent Virginia Sixth District, is his cosponsor. See, Summary of Encryption Bills in the 106th Congress. He is a cosponsor of the SAFE Act, which liberalizes export restraints on encryption products, and guarantees Americans the right to use any encyrption products. When the Telecom Subcommittee marked up the bill he voting against amendments that would have weakened the bill. He is also a cosponsor of the Schools and Libraries Internet Access Act. This is a bill to reform the e-rate program. It would transfer the program from the FCC to the NTIA, and fund it out of the existing excise tax on telephones, rather than universal service funds. Elections. Rep. Boucher has not had problems winning reelection.